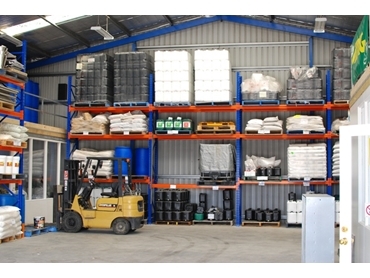 The powered pallet racks from Erect-A-Rack are high density storage banks with SPR mounted on mobile bases. Electrically operated, these bases are designed to move aisles to enable access to the required pallets. Powered Racks are ideal for a range of purposes including reducing cubic capacity and resultant operating costs, high land costs and taking advantage of unique locations. Powered racks are ideal for Greenfield’s refrigerated storage projects when operating costs should be kept at a minimum, land position is unique and land cost is high. The racks are fitted with several safety features.